I made two different backgrounds for the cards the first one I gave textures with the Deck The Halls Stickable Stencils and white gesso. 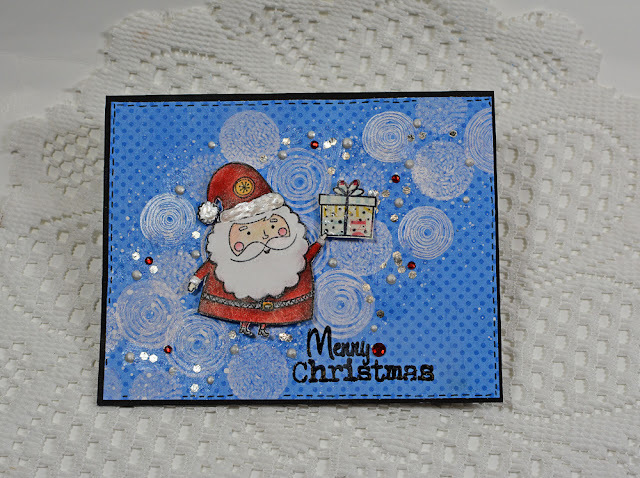 In the second card, I stamped with the Circular Textures Stamp and a white permanent ink. The paper is from the Double Dot Designs paper pad (6 x 6). 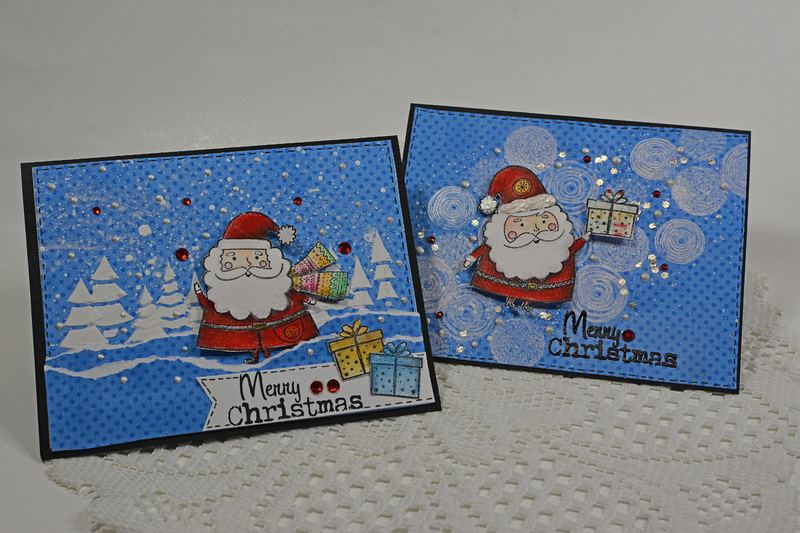 I did a little traick of tearing the paper to create the hill and make white paint splatters to give the snow effect. 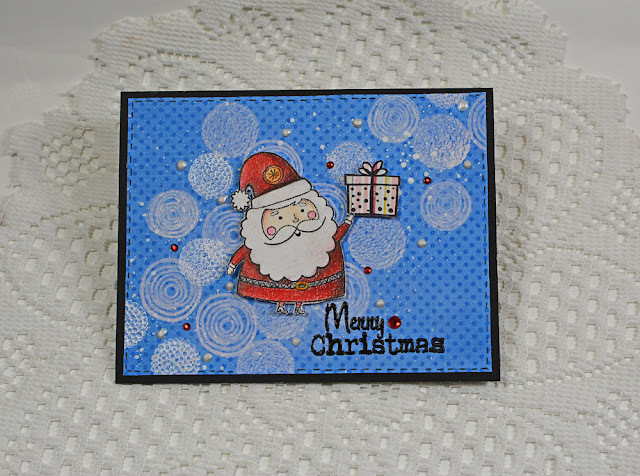 The adorable Santa and the gifts are from the Santa and Friends stamp that I hand colored. The Circular Textures Stamp gives nice textures on my card, I played with them to make this fun background. I gave more textures with the Silver Confetti Paste and adhered some little gems. 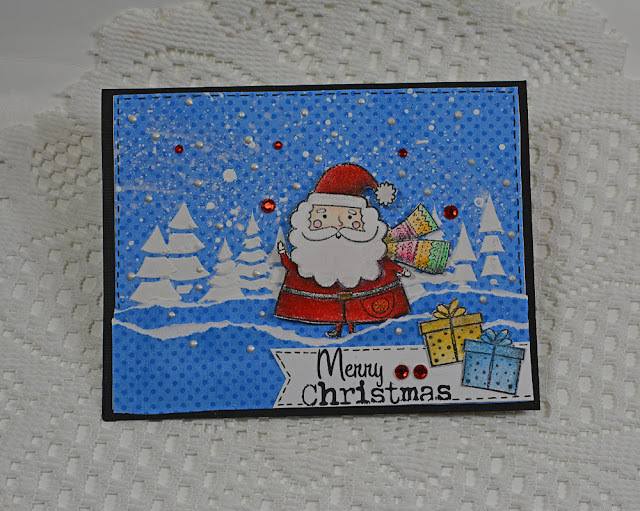 Here's a simple version of my previous card, this one doesn't have the confetti but I made dots with the sugar Pearlescents. 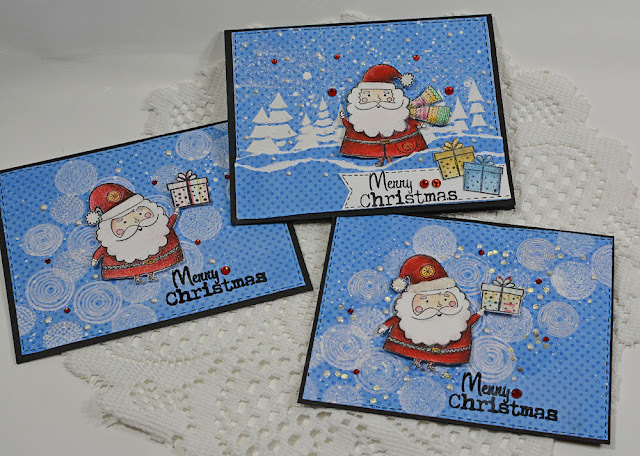 I had a lot of fun creating these cards and I want to share with you how I made them.